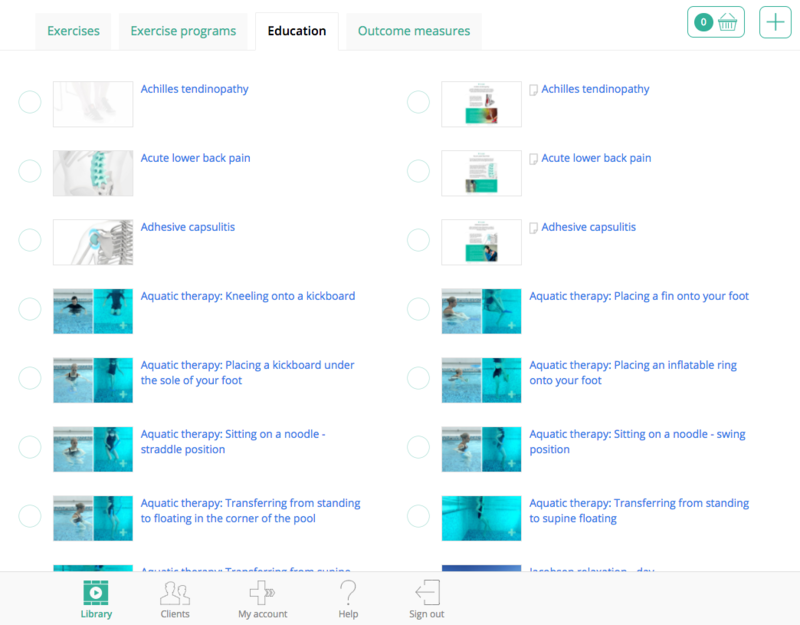 This document is designed to show you how to assign educational content only to your patient, without the need to assign exercises. 1. Search for your desired educational content via the Library > Education tabs. 2. Select your desired educational content by ticking the relevant circle. This addition will display in the program editor basket to the top right of the screen. 3. Click on the program editor basket to view content. 4. 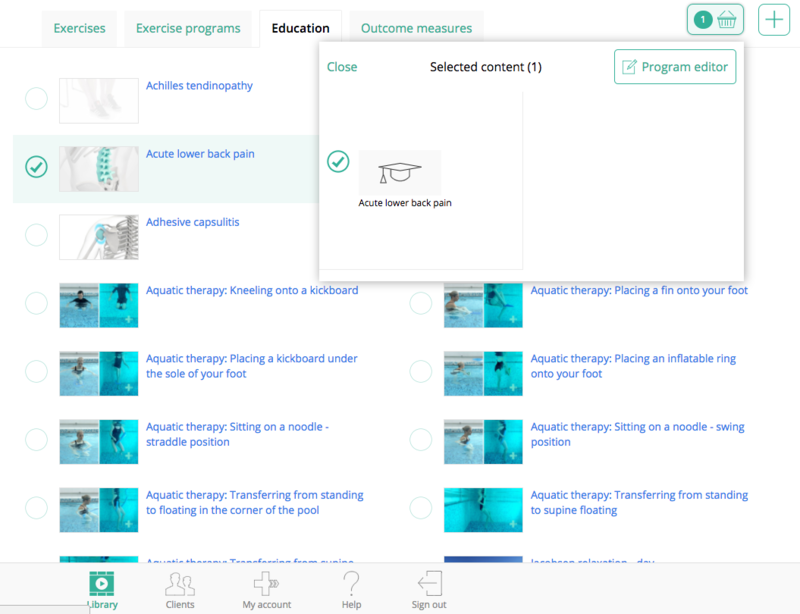 If happy with content, click the "Assign" button and select your patient. 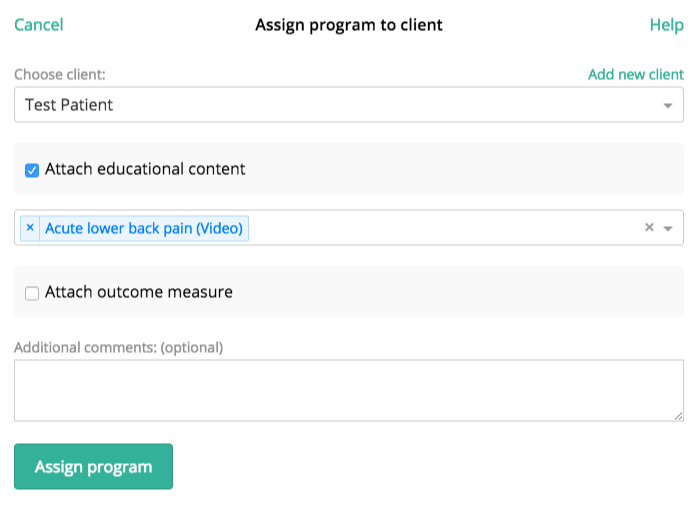 Click "Assign program" when your content is complete. 5. 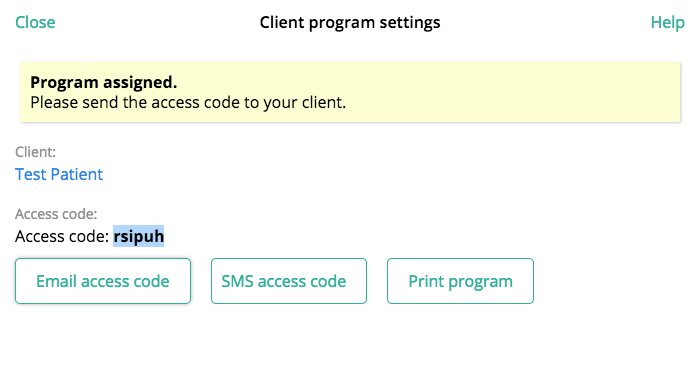 Finally, the "Client program settings" box will be displayed, providing the access code for your patient. Email or text this code to your patient. Or simply read it out to them to write down.